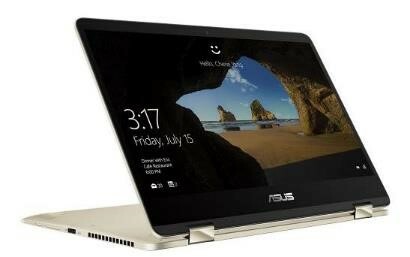 Singapore (21 November, 2018) — In conjunction with SITEX Show 2018 to be held at the Singapore EXPO Halls 5 & 6 from 22nd – 25th November, ASUS rolls out the ZenBook Flip 14 (UX461), the world’s thinnest 2-in-1 laptop to use a high-performance discrete graphics chip, and the first in its class to offer this level of graphics performance. In addition, shoppers can expect to enjoy irresistible discounts ranging from $100 to $200 and complementary gifts on the latest ZenBook, VivoBook and Republic of Gamers (ROG) desktops and laptops series. The ZenBook Flip 14 (UX461) is a creative powerhouse that’s breathtakingly thin, unbelievably light and incredibly versatile, with a 14-inch, 360°-flippable NanoEdge slim-bezel touchscreen that supports the ASUS Pen active stylus. The raw power of the ZenBook Flip 14 (UX461) is provided by the 8th Generation Intel® Core™ i7 quad-core processor, combined with 8GB RAM, NVIDIA® GeForce® MX150 graphics and a PCIe Gen3 x2 512GB SSD. With its day-long battery life of up to 13 hours*, the ZenBook Flip 14 (UX461) delivers effortless on-the-go creativity in tablet mode, portable document-crunching in laptop mode, or stress-busting relaxation in any mode. The powerful, versatile and creative ZenBook Flip 14 (UX461) does everything, with refined elegance and style. The ZenBook Flip 14 (UX461) will be available at $1,898 at SITEX Show 2018. *Battery life varies based on settings and use. Measuring an incredible 13.9mm thin and weighing as little as 1.4kg, the breathtakingly beautiful the ZenBook Flip 14 (UX461) features a unique combination of 8th Generation Intel® Core™ processors and discrete graphics based on the groundbreaking NVIDIA Pascal™ architecture — the world’s thinnest 2-in-1 laptop to use this high-performance graphics option. The ZenBook Flip 14 (UX461) has an all-aluminum unibody, with an ultra-compact footprint that houses a 14-inch screen in less space than many 13-inch models. The lid features our iconic Zen-inspired spun-metal finish. The versatile 360° ErgoLift hinge on the ZenBook Flip 14 (UX461) incorporates a precision-engineered mechanism that allows users to switch effortlessly between a high-performance laptop, a lightweight tablet, or anything in between — making it the perfect digital canvas for on-the-go creativity. The ZenBook Flip 14 (UX461) is built to give users the raw power they need for effortless on-the-go performance. With the 8th Generation Intel® Core™ i7 quad-core processor, high-performance NVIDIA® GeForce® MX150 discrete graphics, 8GB RAM and an ultrafast PCIe Gen3 x2 512GB SSD, the ZenBook Flip 14 (UX461) will never keep the user waiting. Whether they’re creating complex documents, mining data, retouching photos, editing videos, or simply taking a gaming break, the ZenBook Flip 14 (UX461) lets users do more, and do it quicker. It represents a step change in performance over its predecessor. The NVIDIA® GeForce® MX150 discrete graphics chip in the ZenBook Flip 14 (UX461) uses the groundbreaking NVIDIA® Pascal architecture to deliver desktop-level performance, and the latest generation of Intel® Core™ i7 processors give the ZenBook Flip 14 (UX461) processing performance that’s up to 20% better than before. Designed for non-stop, on-the-go lifestyles, the ZenBook Flip 14 (UX461) gives users the freedom to work all day on a single battery charge. A special 57Wh lithium-polymer battery gives it an amazing up to 13 hours of autonomy, and also includes fast-charge technology that can recharge it to 60% capacity in just 49 minutes. Despite having a footprint as small as some 13-inch laptops, the ZenBook Flip 14 (UX461) is equipped with a 14-inch NanoEdge touchscreen. The NanoEdge design has a bezel that’s just 7.15mm slim, providing the maximum screen area in the most compact size, and giving it an impressive 80% screen-to-body ratio. To deliver the ultimate visual experiences, the ZenBook Flip 14 (UX461) harnesses the power of exclusive ASUS display technologies. The wide 100% sRGB color gamut and TV-grade 1000:1 contrast ratio ensure more-vivid, more-lifelike colors, and ASUS Splendid technology fine-tunes display parameters automatically for any kind of image. ASUS Splendid also includes Eye Care mode, which reduces the emissions of blue light by up to 30%, reducing the risk of eye strain during long viewing sessions. ASUS Tru2life Video is a remarkable real-time video enhancement technology that optimises the appearance of every pixel in every video frame, delivering a 150% contrast improvement and pin-point sharpness. ASUS TruVivid direct-bonding technology eliminates extra layers of glass to improve brightness and reduce reflections by 67%, for clearer outdoor viewing. For truly amazing sound, the ZenBook Flip 14 (UX461) uses a Harman Kardon-certified ASUS SonicMaster audio system featuring a tailored mix of superior hardware — including smart amplifier technology that delivers louder sound with no distortion — and cleverly designed software to ensure the ultimate audio experience. The ZenBook Flip 14 (UX461) features a full complement of I/O ports, including the revolutionary USB Type-C™ (USB-C™) port for any-way-up connections and superfast data transfers. There are also two USB 3.1 Gen 1 Type-A ports, a HDMI port and a microSD Card slot, so it’s easy to connect to all current and future peripherals. The full-size backlit keyboard on the ZenBook Flip 14 (UX461) has an impressive 1.4mm key travel, making typing more comfortable and more accurate. It also includes a large precision touchpad that is cleverly engineered for maximum comfort and accuracy, with a glass covering for smooth control. The touchpad also incorporates a fingerprint sensor. The ZenBook Flip 14 (UX461) provides a full Windows 10 experience for users, supporting all the latest creative and time-saving features including Windows Ink, Cortana, Modern Standby, Continuum mode, and one-touch fingerprint login with Windows Hello. It also supports the ASUS Pen, a natural-feeling active stylus that can detect an amazing 1,024 pressure levels. With ASUS Pen and the Windows Ink Workspace, combined with the discrete graphics power of the ZenBook Flip 14 (UX461), users can unleash their visual creativity wherever they are, capturing and modifying notes, sketches and ideas whenever they need to. The ZenBook 14 (UX430) is the thinnest-ever 14-inch ZenBook model to be equipped with the high-performance NVIDIA® GeForce® MX150. Its advanced lightweight construction keeps the weight down to just 1.25 kg — so it will never be a burden when you are on the go. Slim bezel measuring at just 7.18mm on both sides offers the productivity benefits of a larger 14-inch full HD display in an ultra-compact 13-inch chassis. A special 50Wh lithium-polymer battery gives it up to 9 hours* of autonomy, and powerful immersive sound is delivered by the Harman Kardon-certified speaker audio system. Only at SITEX Show 2018, enjoy $100 OFF with every purchase of the ZenBook 14 UX430UN-GV027T (U.P. $1,898). The VivoBook S15 (S530) is powered by the 8th Generation Intel® Core™ i7 processor, with NVIDIA® GeForce® MX150 discrete graphics which adds a dash of personality to your mobile lifestyle, featuring a bold new lightweight design with unique color combinations, a choice of textured finishes, and the innovative three-sided NanoEdge display and ErgoLift hinge. Like every other VivoBook before it, S15 offers a combination of performance, style, and comfort to help you get the job done, wherever you are. Only at SITEX Show 2018, enjoy $100 OFF with every purchase of the ViviBook S 15 S530UN-BQ077T, S530UN-BQ069T, S530UN-BQ078T, S530UN-BQ079T and S530UN-BQ080T (U.P. $1,598). The ASUS TUF Gaming FX504 features the patented Anti-Dust Cooling (ADC), and it’s powered by the latest 8th generation Intel® Core™ processor and NVIDIA® GeForce® GTX 10-Series graphics. It also features a gaming keyboard with a 20-million-key-press lifespan, a 15.6-inch display, and 7.1-channel surround sound. The ASUS TUF Gaming FX504 delivers the performance that enables users to play the latest games and multitask with ease, while at the same time providing unmatched toughness and reliability throughout its lifespan. TUF Gaming Series laptops are built to last, with a lifespan longer than standard laptops. Only at SITEX Show 2018, enjoy $200 OFF with every purchase of the ASUS TUF Gaming FX504GM-EN175T (U.P. $1,998) and FX504GE-E4183T (U.P. $1,798). For the very first time, ROG collaborates with the Melbourne based bag company, CRUMPLER to produce an exclusive limited-edition backpack, the ROG x CRUMPLER Endeavour with only 300 pieces worldwide. The all-weather backpack is designed and built strong from the ground up, spotted with sleek black on black iconic ROG Cybertext all-over textured prints to suit every gamers’ style and carrying needs. A large storage zone, roomy front pocket, padded ROG gaming laptop compartment and weatherproof polyester canvas – plenty of room for all your tech needs and valuables. In addition, the padded shoulder straps make commuting a breeze. “Our teams have been working closely with the ROG for the past 6 months on getting things right, from construction to design, the ROG x CRUMPLER Endeavour limited-edition backpack looks great and is the only bag you’ll need from the office to your next cyber matchup.” said Adam Wilkinson – CEO, CRUMPLER. *Redemption of ROG x CRUMPLER Endeavour backpack is at Crumpler Store, 501 Orchard Road, Shop #02-06, Wheelock Place, 238880. Operating hours: 11am to 9pm (Mon-Sun). Bring along the original invoice, original identification verification documents and original serial number cut-out from box as proof of purchase upon redemption. Redemptions starts from 20th December, 2018 and closes on 31st January, 2019. While stocks last. ASUS products will be available with authorised retailers (Booth 6E07, 6C07, 6D07, 5B11, 6E01, 6B07, 5A10, 6F11 and 6F21) at the SITEX Show 2018 from 22nd – 25th November 2018 at the Singapore EXPO Halls 5 & 6. As of August 30, 2017 based on internal ASUS market analysis of 2-in-1 laptops; thickness measured at z-height.